Recently, I was a lucky girl because I won a sweepstakes where the prize was a brand new Canon DSLR camera! I've always wanted a high-quality camera like this and can already tell a huge difference in the quality of my photos. My new passion for photography has led me to learn much more about lenses, flashes and other camera accessories. 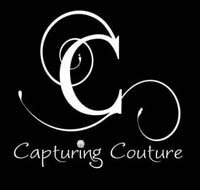 That's how I discovered Capturing Couture. This online boutique carries a host of stylish camera accessories which make you look good, even if you're like me and your camera skills still leave something to be desired. They were generous enough to allow me to review a premium camera strap of my choice. Keep reading to learn more! 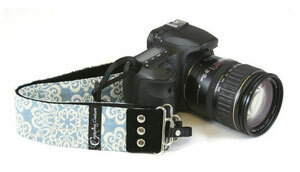 I reviewed the Serenity Sky 2" Camera Strap from Capturing Couture, which retails for $49.00. This Christmas, Be Sure to Wrap a Strap! I absolutely LOVE using the 2" Serenity Sky camera strap that I received to review. 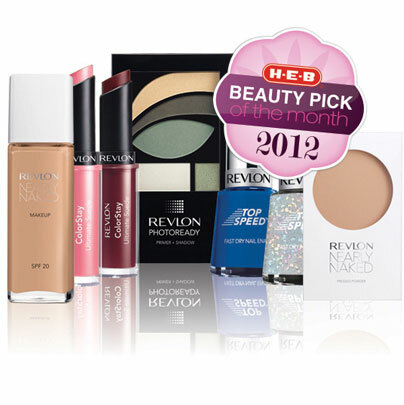 It's so trendy, yet feminine, and the subdued, calming color always manages to lift my spirits. Attaching this high-quality camera strap to my Canon DSLR camera was quick and easy and this addition makes my new camera seem so much more personalized and well...just ME! The soft, velvet lining is also very luxurious feeling against my neck and doesn't rub uncomfortably like my previous nylon strap. Once you attach a telephoto lens onto a DSLR camera or use it with an additional flash accessory, you'll find that a camera like this gets very heavy, very quickly. I can definitely tell a large difference between the way my neck would feel both before and after using the 2" Serenity Sky Camera Strap. There's just no comparison! If you have a DSLR or SLR style camera or know someone who does, then you absolutely MUST add a premium camera strap from Capturing Couture to your shopping list! 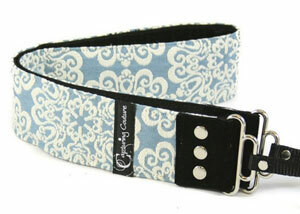 Disclosure: I received the 2" Serenity Sky Camera Strap from Capturing Couture in order to facilitate my review. No other compensation was received. This product review is based on my own personal experiences with this item and is completely honest and objective.